The Philippines is currently represented in space by the Diwata – 1 microsatellite and the recently deployed Maya – 1 Cube satellite. Diwata – 2 will also be deployed within 2018. These are strides by the country in having a space presence. To further establish its own space program, legislation has been introduced by Sen. Loren Legarda and Senator Vicente Sotto III. This is known as Senate Bill 1983, or the “Act Establishing the Philippine Space Development and Utilization Policy and Creating the Philippine Space Agency, and for other Purposes.” The Bill was filed this September 2018. 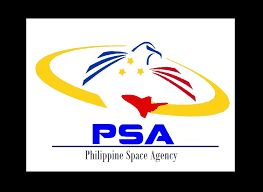 “Though it took a long time, we are one step closer to establishing our own Philippine Space Agency and our Philippine Space Development and Utilization Policy,” said Dr. Rogel Mari Sese, an astrophysicist, and senior Filipino space official. The Philippine Space Agency can then implement policies that the nation needs for development. Senator Bam Aquino, the sponsor of the proposed legislation said that it can be used in agriculture, disaster risk reduction and management, enhancing telecommunications and information technology systems such as faster internet and in planning Smart Cities and communities. The utilization of space by technology can further help in the country’s development “by addressing and improving our national security, disaster management, communication, agriculture, environmental monitoring, science, industry, and transportation through the Philippine Space Act,” Dr. Sese added. The benefits to national security is not to be understated since having a national space agency is as “a sovereign right in the promotion of national security toward the attainment and protection of national interest,” and that such an agency will have to create a national space strategy in order “to keep up with other nations in terms of space science and technology,” according to Dr. Sese. “We hope that after Senator Aquino’s sponsorship of the PhilSA (Philippine Space Act) bill in the Senate plenary, it will be similarly discussed in the plenary of the House of Representatives. We hope our legislators, together with other agencies and the general public, would support and prioritize the passage of this crucial and timely bill,” Dr. Sese added.